Luxury 3 BR/ 2 1/2 Bath Condo Close to Pier; Call for Specials! Head to the world famous Cocoa Beach to catch some beach action and in the evening, return to our Cocoa Beach Vacation Rentals to take rest. This is a 3 bedroom and 2.5 bathroom condominium offering spectacular beach and ocean views. Go for sightseeing or spend a day at the park, you must come back home before dust to marvel the spectacle of sunset right on the balcony. The balcony is very spacious and can afford 4 chairs. You can start a day in style. The Master Bedroom has a King Bed overlooking the beach. The other two bedrooms possess 1 twin bed and 1 queen bed. All the rooms have air conditioning that ensures ultimate comfort. Designer towels and luxury linens are free to use. The fully furnished kitchen carries all latest culinary equipment. The six seating dining area is adjacent to the kitchen; making it perfect for family to have dinner together. The living room, on the other hand, is regarded as the entertainment area where you can have the best time. Cable connected TV, DVD Player, CD player, VCR, stereo system, telephone and high speed internet are at your disposal. Again, beach chairs, beach towels and umbrella are there only for you. 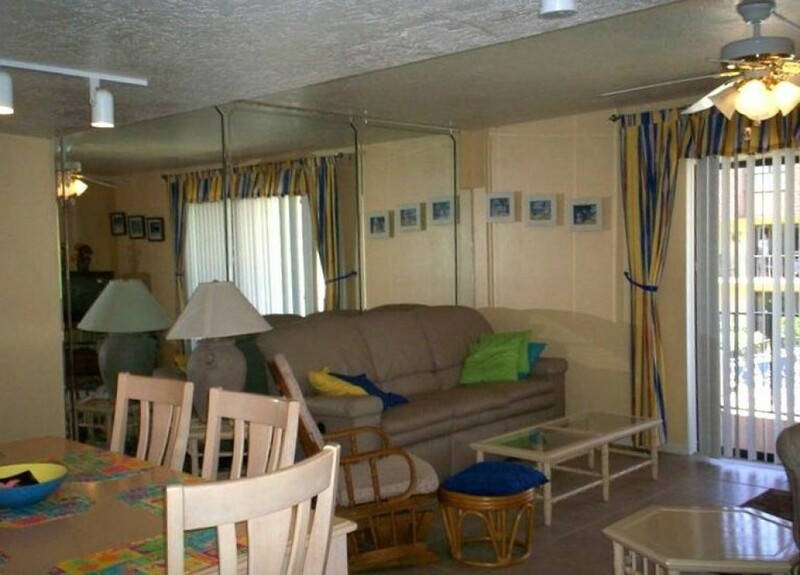 The Florida Vacation Rentals provides full laundry facility with washer and dryer. The condo has two levels; kitchen, dining, the living area and half bath are there on the first level, whereas 3 bedrooms and 2 bathrooms are on the second level. New furniture, custom design, new tile flooring and new light fixtures give the impression of a tropical Caribbean home. $ Shuttle times are more.